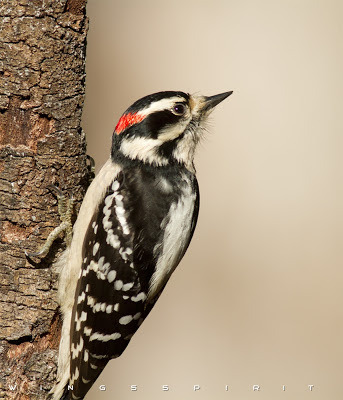 This smallest woodpecker of North America, Downy Woodpecker (Picoides pubescens) is also the most friendly and most popular backyard woodpecker which can be found in the lower 48 states. The total length is 5.5 to 7.1 in (14 to 18 cm). Often times, you will hear them before spotting them. 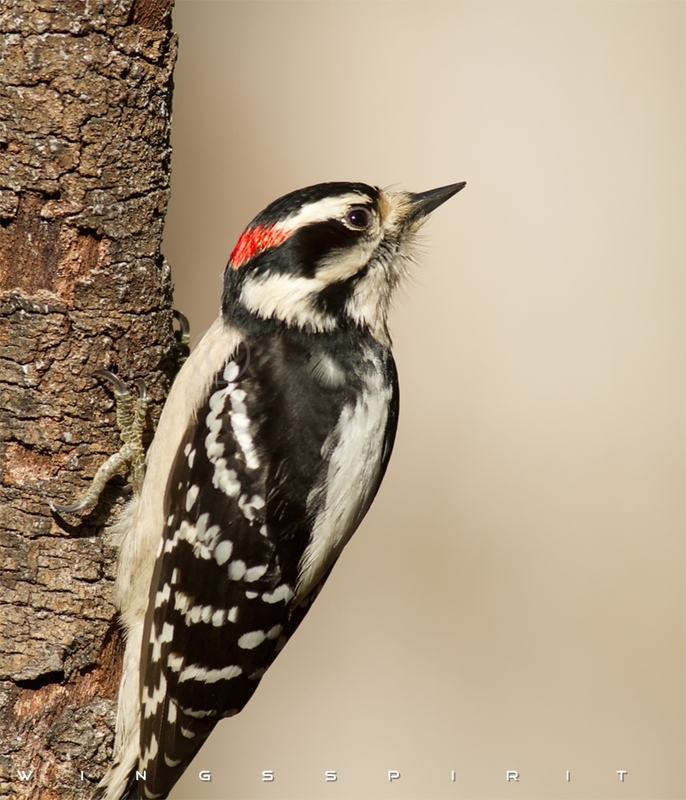 They are mainly insectivorous but they will consume sunflower seeds, berries and fruits in winter and they are easily drawn to backyard suet feeders. During nesting season, the male will feed his female. Interestingly, male will chase female away during non-breeding months.